In the world of gadgets driven technology, it has become so simple for us to access everything available online with just a few clicks. Whether it is a service or a product, everything is readily available on the internet. While numerous firms are wanting to be tech savvy, the competition out there in the market has become enormous and its increasing constantly. To withstand this cut-throat situation, companies need to incorporate better marketing tactics and customer retention programs to attract existing and new clients. One such promotional activity that makes it possible for the companies to woo their customers is Digital Marketing. So, what exactly digital marketing is? SEO – Deals about optimizing a website to get higher ranking in the search results of search engines like Google, Yahoo, Bing. Social Media – Helps to get more engagement and awareness via social media platforms like Facebook, Twitter, Google Plus, etc. Based on where you want to work and your designation, it’s apparent that you need to wear a bunch of hats simultaneously: copywriter, designer, strategist, data analyst, etc. What sort of person is suitable for a digital marketing career? 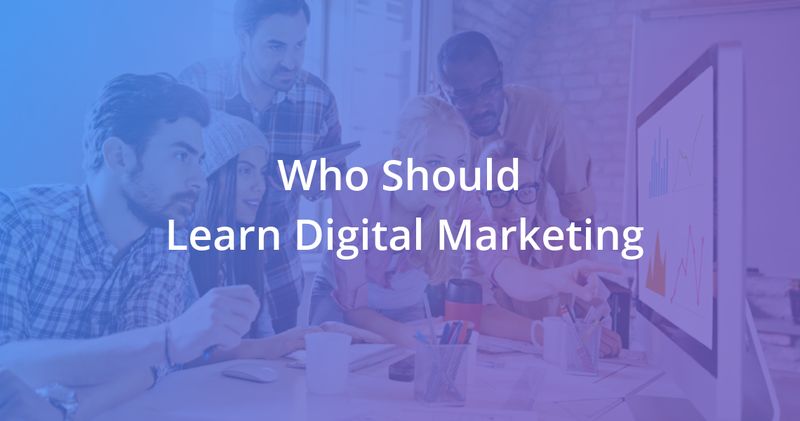 Who should learn Digital Marketing? There are a lot of questions many people ask when they consider learning digital marketing. It is not only about your education level, skills, and qualifications, but there are also some more factors that you should be aware of when evaluating your career potential. People from all the walks of life could very well benefit from learning Digital Marketing. Listed below are some professionals who should learn digital marketing and can immediately get benefited from doing a digital marketing training program. Students – As the importance of Digital Marketing is growing enormously day by day, the chances of it becoming a stable career are prominent. Students with knowledge in digital marketing are capable of turning out into entrepreneurs building start-ups with new business ideas. Also, students doing BBA and MBA can learn digital marketing course along with their studies as it serves as a bonus in boosting up their resumes. Moreover, digital marketing trained MBA graduates are quite eligible in getting placed as Digital Marketing Analyst, SEO executive, PPC manager, etc. Marketing Professionals – As said before, Marketing Professionals holding a BBA or MBA degree, Sales professionals, Business development executives, and other experienced individuals in marketing field can benefit from taking up this digital marketing course. Marketing officials should no more consider learning digital marketing as an option to proceed later. It is high time that they must require the knowledge of digital marketing concepts in order to survive in the digitized world of marketing. Career Switchers / Individuals – Individuals who are presently executing traditional marketing strategies and who would like to “switch-over” to new marketing channels are highly in need of doing a digital marketing course. Sticking on to the outdated marketing tactics may give negative impact instead of doing good. Those individuals who wanted to try modern marketing strategies that the society has been discovered and following currently are invited to take up this digital marketing training program. CEO – Being a boss you can keep an eye on the digital marketing strategies implemented by his organization and can assist in carrying out the process with the concern teams. Attaining a clear knowledge about the concepts makes the CEO proficient at delivering his suggestions and contribution. Business Owners – People already into the business sectors are also getting benefitted from learning digital marketing courses. It provides a huge way for them to earn money and generate profits at minimal efforts with higher ROI. Business professionals can run their businesses more efficiently with this knowledge, and it makes it much easier to earn profits. IT Professionals – Personals working in IT sectors also has a big deal of benefit in taking up digital marketing training. With the growing importance of DM people with IT background can have a sound future. A lot of businesses are coming forward to spend a good deal of money and being an IT professionals with digital marketing skills can get you hired easily in large business firms. Thus having a thorough knowledge of Digital Marketing is quite important to everyone. On observing how digitization is increasing by leaps and bounds, the skills of digital marketing are essential and becoming invaluable for future. Others – Online marketing is not only meant for sales and marketing professionals. Anyone (even a layman) with a high knowledge and desire to walk through this area can master the subject with hard work and dedication. The best part about digital marketing is there are a lot of resources and places to learn about it. Here are some of the popular resources online to learn digital marketing skills, broken down by category. For a quick-start of a career, you can learn digital marketing from basics with an advanced digital marketing certification course, which will give you a well-rounded foundation in fundamental skills and techniques. Doing this course will provide you with the qualifications you need for an entry-level marketing position. Once you have a foot in the door, you can further your education, with specialized courses in Digital Marketing, which can be done via classroom learning or via online courses to make balancing work and college easier. With the help of Zuan Education’s DM courses, you can earn a well-recognized certification that provides skills and credentials you need to move further from an entry level to a qualified digital marketing professional or to upgrade your career level you need for managerial positions. Digital Marketing has a wide range of scope, and with the growing market size, it is evident that many career opportunities are blooming around every nook and corner of the world. According to studies, by 2020, there will 600% growth in the Digital marketing career opportunities. So just imagine the current statistics and visualize it six times more powerful. We hope that you must have got a clear picture on who should learn digital marketing. 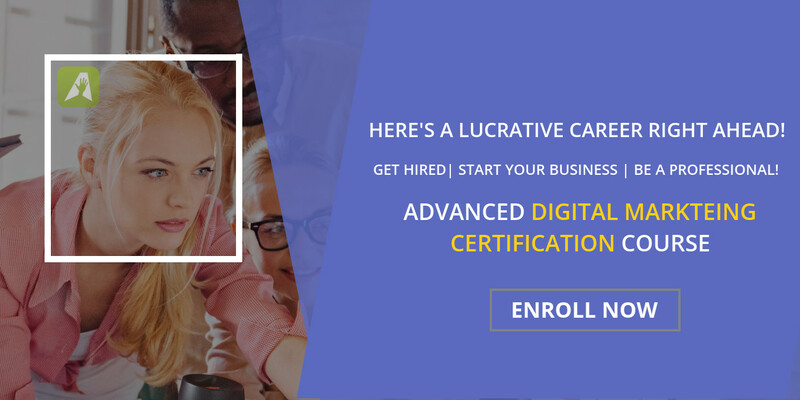 On the whole, it is for anyone who is interested in a career that keeps them on their toes and willing to invest in the career skills they need to make it happen – can learn digital marketing. Hope you have realized onto who should learn digital marketing and why it is that important in the current scenario. You don’t have to wait until it is too late. Get into the Digital Marketing world right away! To learn more about joining for a certification course in Digital Marketing from Zuan Education, call us at +91 9025500600.